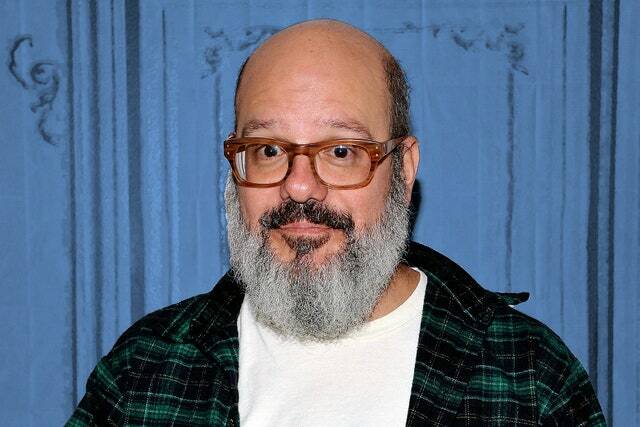 David Cross has gained popularity as an American stand-up Comedian who is also famous for his acting skills. Beyond being all of that, he is also noted as a writer and a director. As a comedian, he has a way of a pulling his audience into a hilarious state with so many of his jokes. A regular fan of the HBO sketch comedy series, Mr. Show, would totally agree to this. that notwithstanding, his performances as an actor has kept words on the lips of many referring to him as a man of many talents. We would give him kudos by saying he is sure good at whatever he does which includes being a husband and a father. David Cross had a poor upbringing, his family was way too poor that he took decisions to turn his life around at every opportunity he got. They were never stable at a place as they moved from one part of the country to another in search of greener pastures. Of certain, his birth on April 4, 1964, in Atlanta, Georgia could be described as one that gave his parents mixed feelings, but hell broke loose when his father, Barry left home when he was ten. It was tough thereafter, but the young comedian was not one to give up so easily. After his father left, he and his two sisters- Juli and Wendy Cross were single-handedly raised by his mom, Susi. He still doesn’t have a good relationship with his father as records have it that he has neither acknowledged him nor talked about him since he was 19. The comedian’s family are Jewish and it was at such that he was raised. However, when David became an adult, he decided to forgo the teachings he had learned and become an atheist. On several occasions, he claims he doesn’t believe there is God but believes there is an us. For his educational pursuits, the comedian attended Northside High School. Upon graduation from high school, he had his plans of being a comedian all drafted out in his heart but decided to try being employed so he worked with a lawn care company. When he could not get job satisfaction with what he was doing, he decided to further his education at Emerson College Boston instead. He had little or no interest in most of the things happening in school and focused most of his attention growing the comedy sketch group he joined named This is Pathetic. His dreams were not enclosed within the school walls, so he left to pursue his comedy career. At that point, he blew his trumpet starting locally and within a short space of time, he attained an immeasurable height of success. David Cross also trod the path of a television writer; he was the creator of the popular HBO sketch comedy series, Mr. Show. Prior to the making of the comedy show, he wrote for The Ben Stiller Show and for his incredible script-write, he bagged an Emmy Award. Few years down the line, he got a movie role in Men in Black (1997) and also played as Newton in the sequel of the movie Men in Black II (2002). Subsequently, he appeared as one of the top actors in the television sitcom, Arrested Development (2003-2006). On and on, the comedian has shown his acting prowess in a lot of other movies and shows. Most successful celebrities often have someone they look up to and really want to be like. Often times, they refer these persons as their inspirations or influences, for David Cross, he publicly has claimed that his works are influenced by the likes of Lenny Bruce, Bill Hicks, Andy Kaufman, Lou Costello, Monty Python’s Flying Circus, Steven Wright, and Richard Pryor. With the movie Arrested Development, David Cross became well known around the globe but more than that, he made a very large income with the roles he played. His sketch work Mr show which earned him a Grammy Awards in 1993 is also said to have contributed immensely to his earnings. Despite the controversies and criticism he received for the movie Alvin and The Chipmunks (2007), it went on to become one of the most animated movies ever watched and Cross was well rewarded for that. With so much hard work, he is estimated to be worth $12 million. David found love with a lady named Amber Tamblyn. The two dated for four years and got engaged in 2011. Just a year after, they made their union official. Together, they have a daughter named Marlow Alice Cross born in February 2017. Amber Tamblyn, like her husband, is a famous actress and writer in the entertainment industry. She is excellent at what she does and has received various awards. Amber’s most recognized works are basically in drama series in such works as The Twightlight Zone and Buffy the Vampire slayer amongst others.